We believe that worship is central to the Christian life. 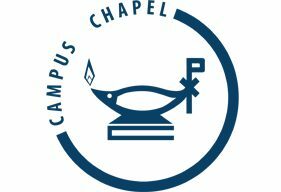 At the Campus Chapel, we meet for worship every week at 10:30 a.m. on Sunday morning. All are welcome to join us as we sing, pray, listen to a Biblical sermon, and celebrate the sacraments together. We celebrate communion (Lord’s Supper, Eucharist) frequently. Our worship services last about an hour and are always followed by a time of fellowship. On Sunday mornings, you can park for free in the public parking structure located on Church Street, right behind the Chapel building. Worship is an area where we sometimes set our hearts at odds with our minds. Some worship can become all “heart.” We bypass critical thinking and rationality in an attempt to generate an emotional high. Or it can be all “mind,” and worship becomes merely an intellectual exercise in which people are simply fed the right doctrine. But ultimately setting hearts at odds with minds is a false dichotomy. We aren’t merely bundles of emotion, nor are we disembodied minds. We are bodied beings. Worship should engage who we are as whole people. After all, the goal of worship is not merely to make us think a certain way or even feel a certain way. The goal of worship is to re-present the gospel in such a way as to transform us, to enable the gospel to take hold of our the whole of our lives — our thinking and feeling. At the Chapel, our primary obligation in worship is not to a particular worship style (e.g. “contemporary” or “traditional”) but to this goal of transformation.